Well, the Tegra 3 is just full of surprises. Nvidia has already disclosed that its quad-core chip also packs a low-power fifth core that can be used in place of the other four to save power. 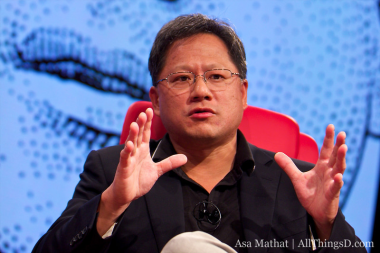 On Monday, Nvidia shared a few more secrets about its latest smartphone and tablet processor. Among its other power-conserving superpowers is the ability to reduce the amount of backlighting needed. It does this by looking frame by frame at what is being displayed and, when possible, opening up pixels and turning down the backlight where possible. “That adds a significant amount of battery life to these mobile devices,” Nvidia mobile unit head Mike Rayfield said in an interview, noting that backlights are one of the bigger drains on battery life. In addition to the backlight trick and the low-power core, Rayfield said the Tegra 3 also eliminates the need for a separate controller to process input on a touchscreen. The Tegra 3 is already shipping in Asus’s Transformer Prime (a device first shown at AsiaD). At this week’s Consumer Electronics Show in Las Vegas, Nvidia is showing the Tegra 3 in action on a bunch of other devices. Nvidia isn’t the only chipmaker trying to make a case for its processors this week. Both Intel CEO Paul Otellini and Qualcomm CEO Paul Jacobs are slated to deliver keynote speeches on Tuesday. All three companies are trying to make the case for why their processors should be the brains of device makers’ next mobile gadgets. And they aren’t the only ones: Texas Instruments, MediaTek and Broadcom are also angling for different segments of the market.